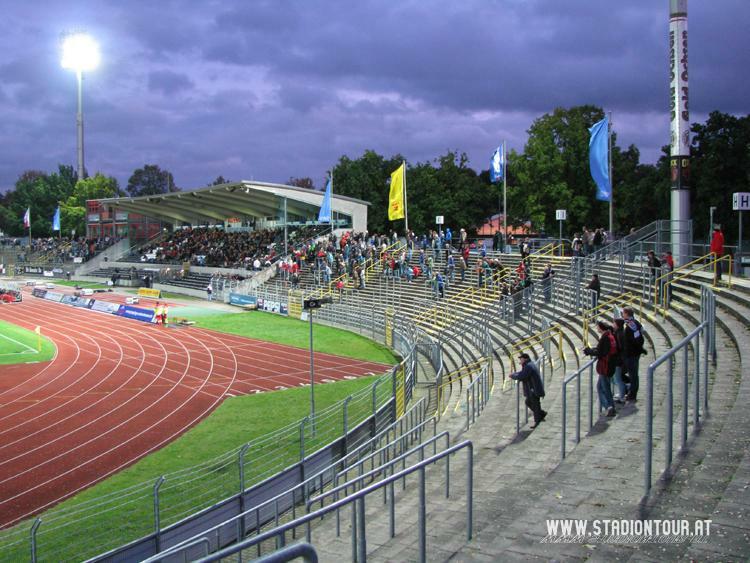 The name means as much as „The Danube Stadium” and describes one of the most important track and field venues in Germany. 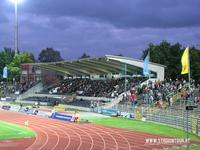 In 2006 and 2009 national championship was held here in Ulm and when the ground was opened for the first time an even bigger event took place. An athletic festival gathered some 40,000 people despite the ground having only 3 modest stands at that time. 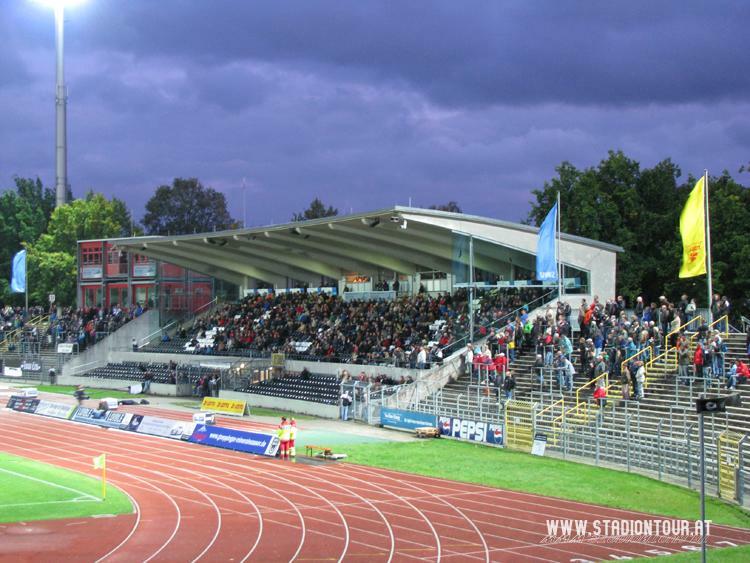 Interestingly, a lot of the viewers actually took advantage of one end being open and watched the event from a nearby meadow. 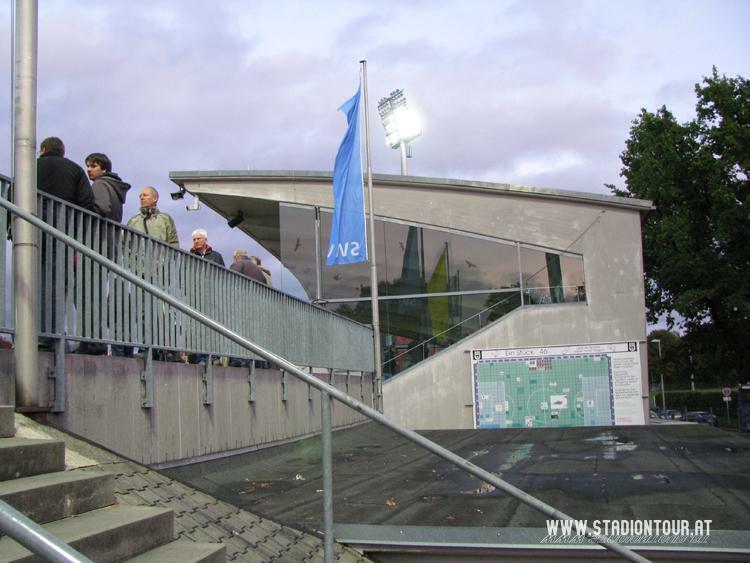 Stadium was partly destroyed during WWII, having the main grandstand left in pieces. 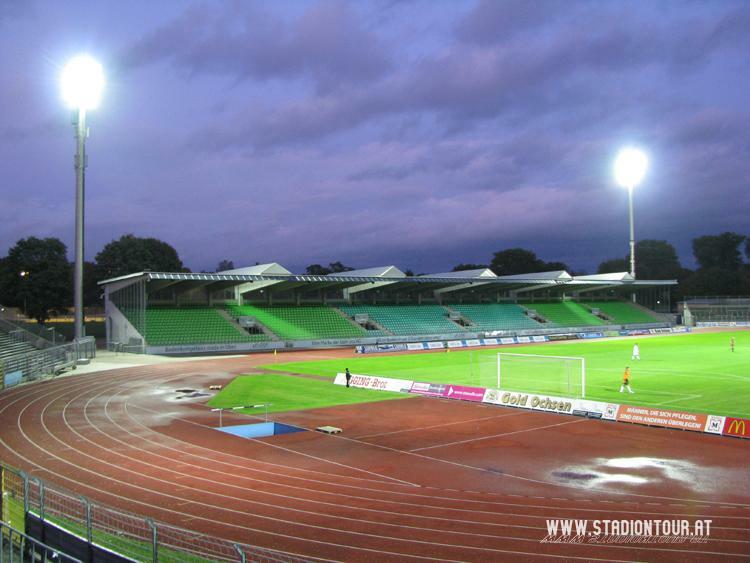 Rebuilding works were carried out in 1952 and then revamps seized for several decades until 1999’s most recent renovations that effected in a new 3,000-seat covered stand opposite the main one. 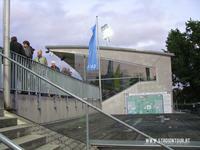 On aggregate, there are 4,280 seats and 15,220 standing places at the ground. 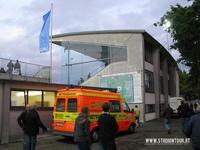 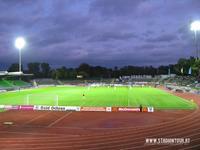 Donaustadion had its debut in the Bundesliga in 1999, but that’s pretty much it for SSV Ulm’s successes. 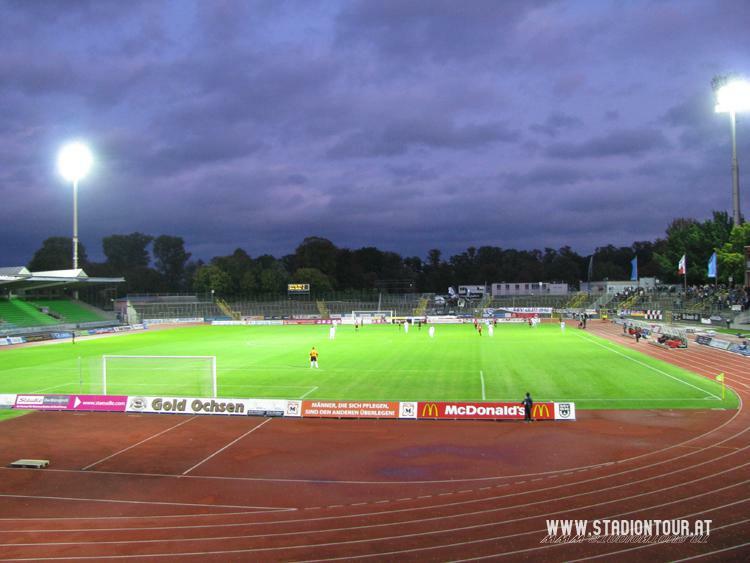 But not all important games had to be the club ones – Women Euro 2001 was held at this stadium just like a friendly between Australia and Liechtenstein ahead of World Cup 2006.